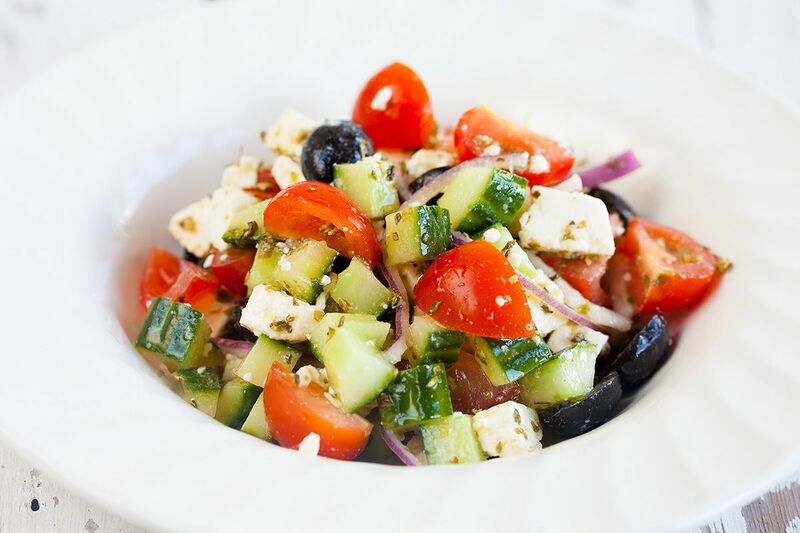 Greek salad is a classic one, but it's still one of the most flavorful ones, loved by many. With only a few ingredients and ready in less than 10 minutes. RINSE the tomatoes and cucumber. Cut the cucumber in half lengthwise and use the spoon or melon baller to remove the cucumber seeds. 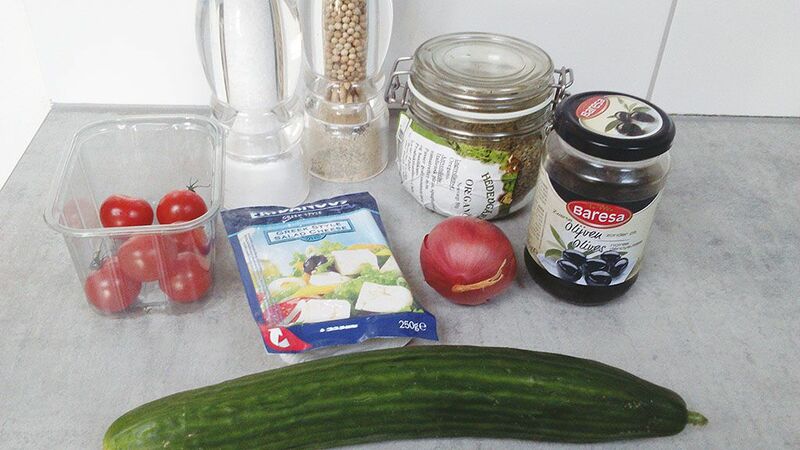 Cut the cucumber in strips and then in small squares (brunoise). CUT the tomatoes in quarters and then peel the red onion and slice it into thin (half) rings. You can choose to slice the olives in halves, or leave them as they are. Make sure you use pitted olives. 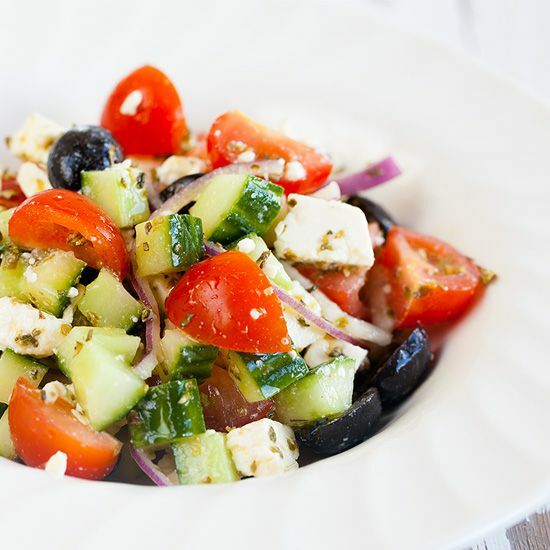 If you bought a larger piece of feta, cut it into cubes. 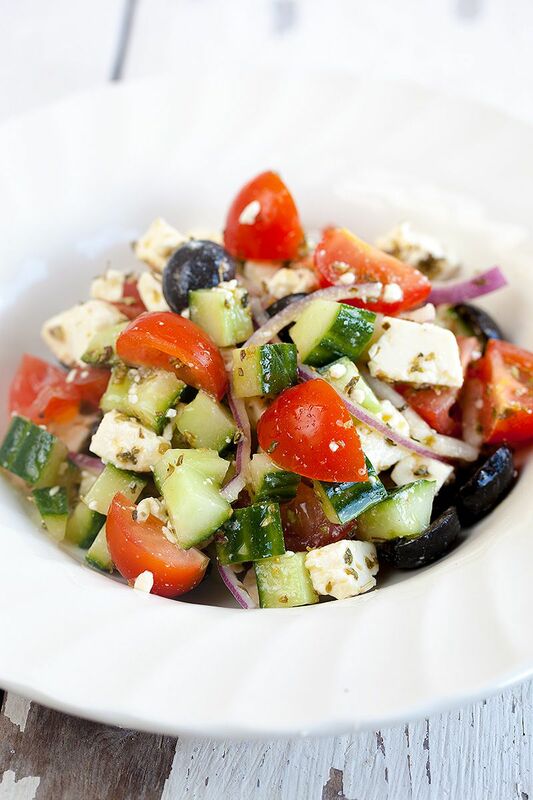 TOSS the cucumber, tomato quarters, feta cubes, black olives and onion rings together in a bowl. ADD olive oil and dried oregano. Season with pepper and salt. Enjoy!